Australia has more co-working space per capita than any other country in the world. 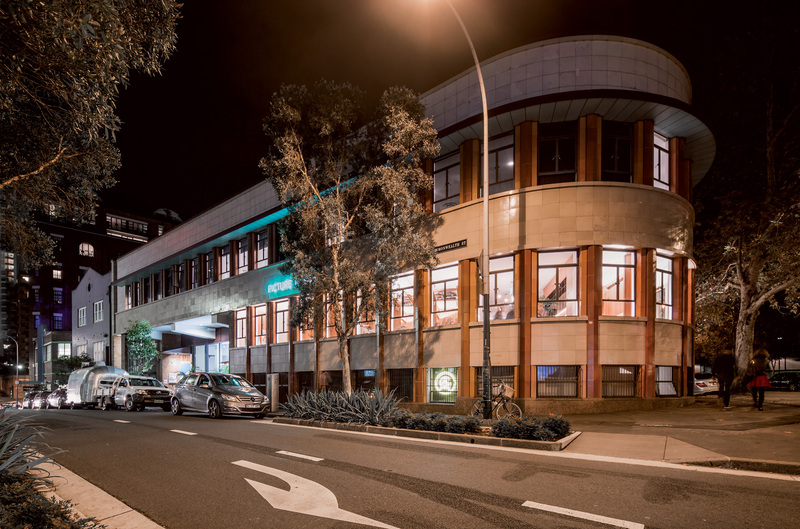 It is apt therefore that it should also be home to one of the most sophisticated shared office spaces in the world. 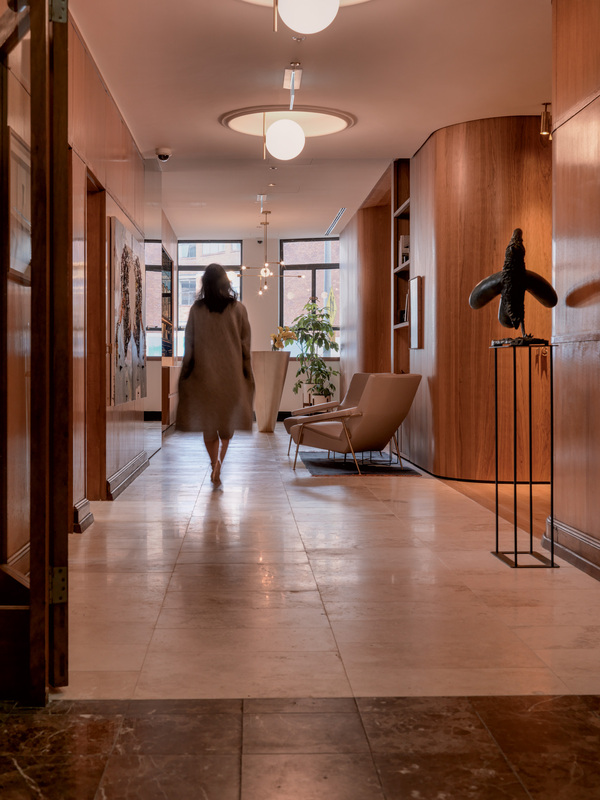 Located within the iconic Paramount House in the heart of Sydney’s Surry Hills, Woods Bagot and Elan Construct have created a co-working experience that seamlessly combines function, aesthetics and luxury. Paramount by The Office Space comprises 22 private office suites, a meeting and boardroom, kitchen area and a stunning purpose built brass bar. Mid-century design pieces from Walter Knoll and Molteni&C and custom furniture unite with the technological requirements of contemporary business. 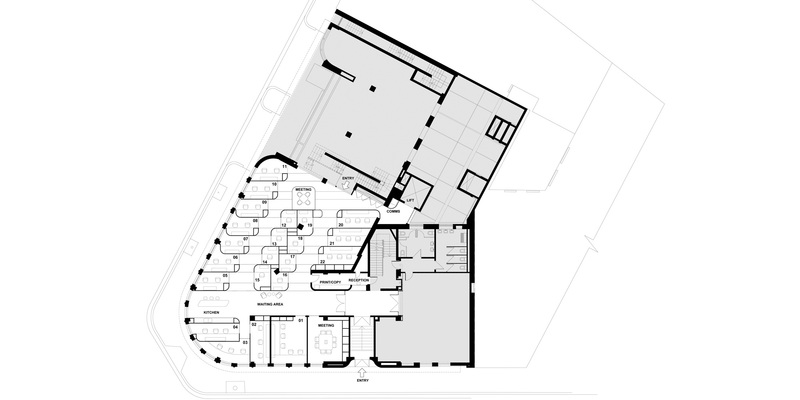 The outcome is a sense of luxury, comfort and sophisticated hospitality within a modern office setting. The heritage building set a geometry for the design of the interiors. However, it was a recognition and celebration of the original fabric of the distinctively curved Art Deco element of the Paramount building that led to a skilfully executed, elegant design outcome. 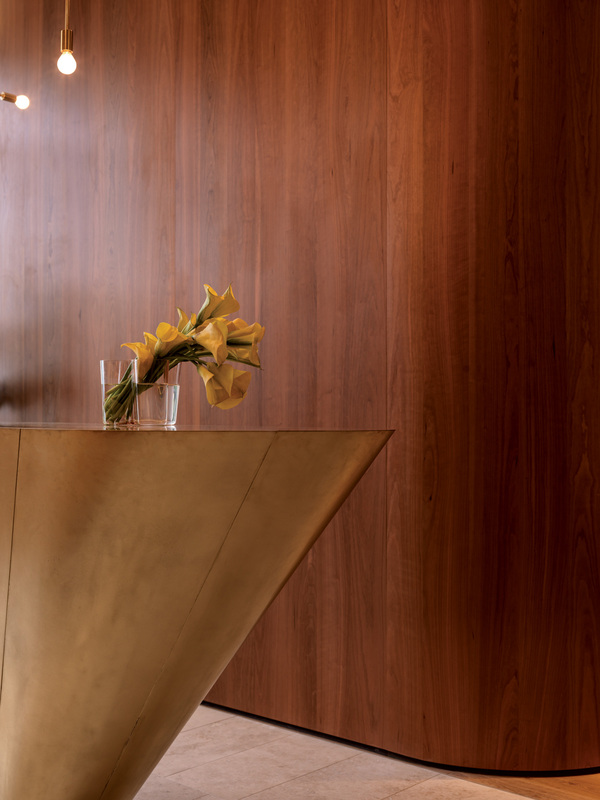 Natural materials including limestone, leather and marble combine with burnished brass fixtures to contribute to the high-end glamour which emanates from the extensive use of American black cherry solids and veneers throughout the space. Suites are available month to month through to long term leases for mid to senior level professionals and small business entities. “The building’s signature form is echoed in the softly-curved handmade timber office suites that wrap around the contour of the floor plate. An intricate three-dimensional feature ceiling of timber and brass links the individual elements within the office, creating a compelling aspect both within and from the street,” Woods Bagot Principal Domenic Alvaro says of the project. 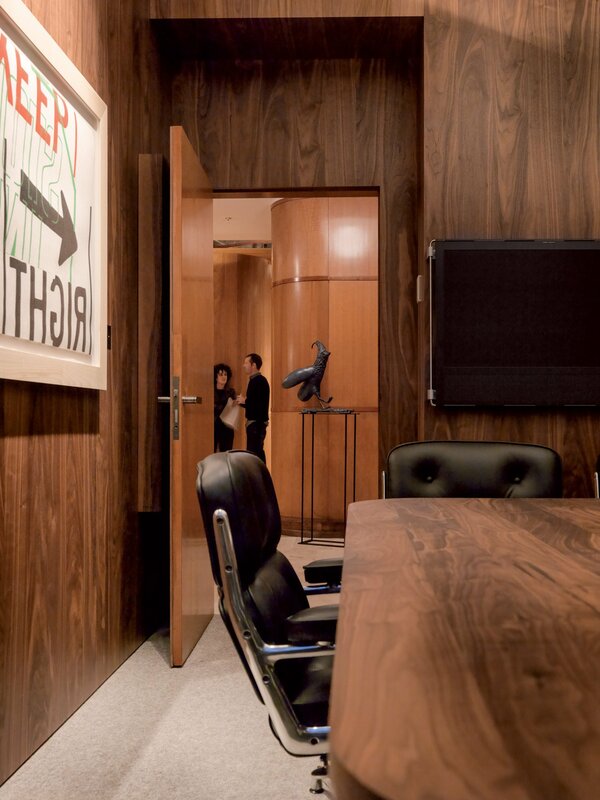 The softly curved offices suites are formed from American black cherry. 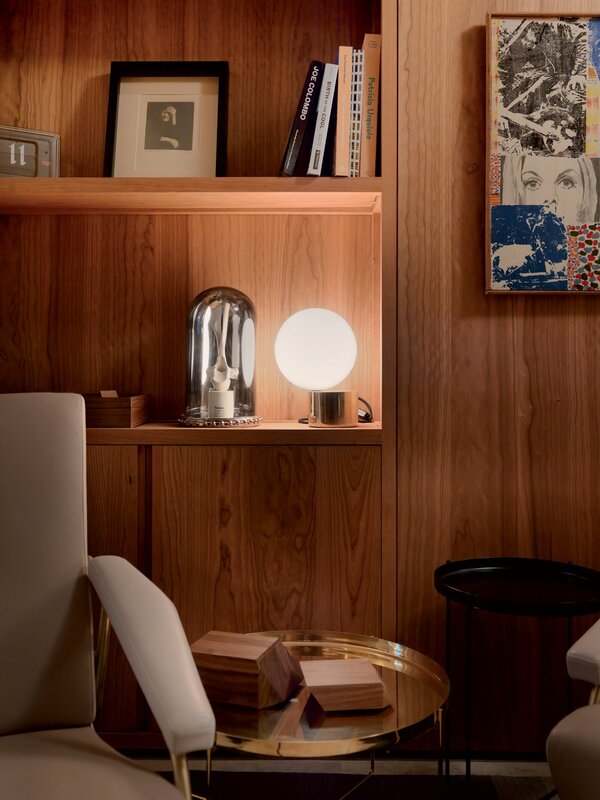 Todd Hammond, Woods Bagot Head of Interiors says the intention was to create a space “seemingly milled from timber to reconstruct a ‘yesteryear’ aesthetic in contemporary presentation”. 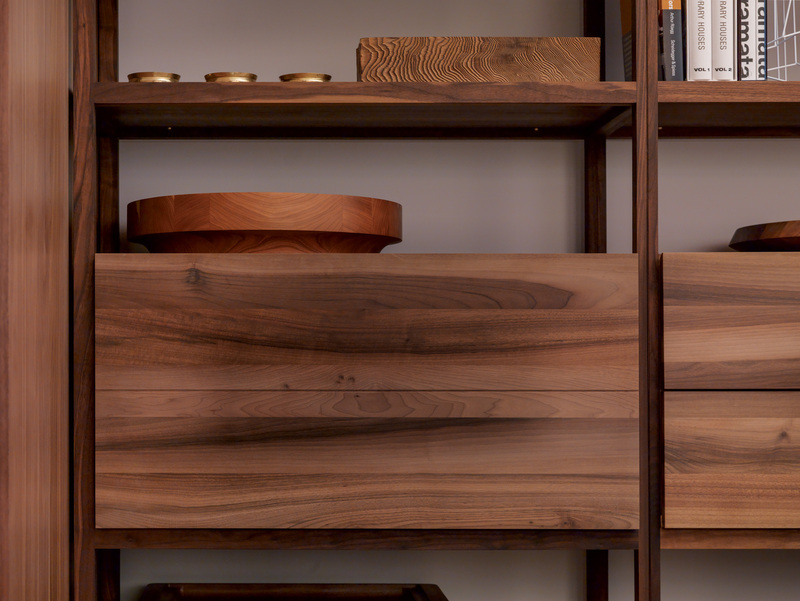 Hammond confesses a “love affair” with American cherry, a species that he says offers an alternative to the ubiquitous trend in Australia for blond timbers, yet without the formality of darker walnut. “I think cherry sits somewhere in between; not only in tone but also with its level of professionalism, which can be used in a casual way”. 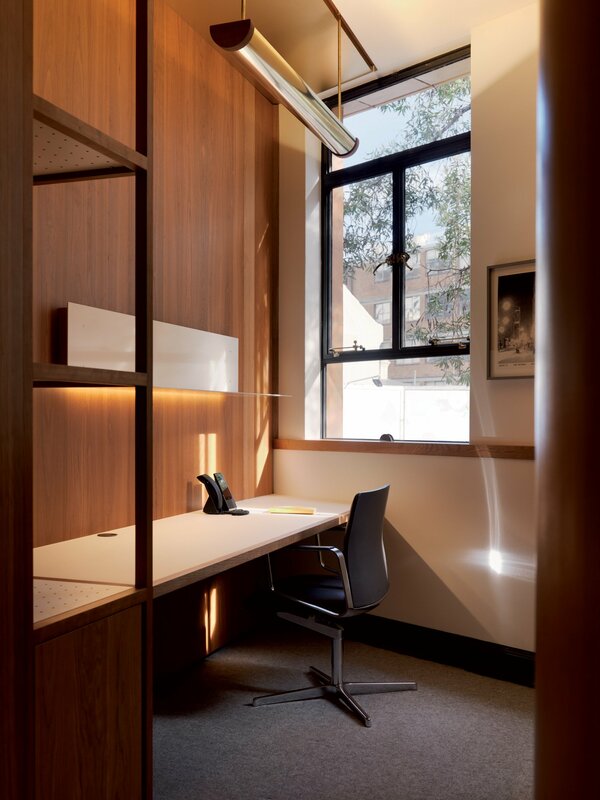 Indeed, whilst walnut was considered for its sense of luxury, it was felt the darker hue would enclose the smaller offices and American cherry offered the golden, honey tone that complemented the Queensland maple timber that graces the entrance to the space. Inspired by the use of American cherry by Japanese artisans and mid-century architects such as Frank Lloyd Wright, Hammond says that the timber “has a life about it – it’s a timber that evolves, goes through phases whereby it starts off fresh and almost youthful, then it starts to age the longer you have it. It also has a nice figurative grain and tones that transition from pale pinks and creams through to deep golden honey hues”. The luxuriousness that results from the natural darkening with age of the timber led the Woods Bagot team to leave the timber without a UV coating. Paramount by The Office Space is owned by Director of Elan Construct, Boris Tosic. Well known amongst Sydney’s architectural and design elite, the Woods Bagot team and Tosic had the advantage of an existing mutual respect and aligned vision for the project. “Elan Construct is flexible and can adapt and interpret architectural sketches, which means they can build from very simple design intent drawings,” says Hammond. 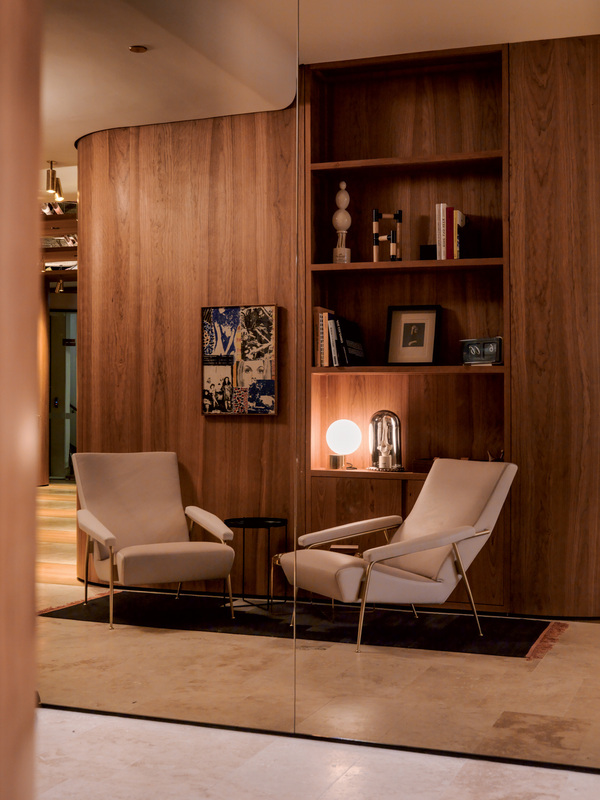 The Woods Bagot team talk of the “exceptional creativity; engaging outcomes and functional solutions” that Tosic was able to bring to the project. For Tosic, as both owner of the development and the contractor, this was a deeply personal project and one on which he looked to test his abilities and those of his team. “I am obsessive about detail and set no limits in making something as beautiful as I can,” he says of his work. His pursuit of perfection is evident throughout The Office Space. Elan has a reputation for innovative approaches used in conjunction with artisanal joinery techniques. A combination of contemporary CNC technology and bespoke joinery and shipbuilding techniques, in addition to a hand finish, delivered the high end detail which would not have been possible had only one technique been employed. 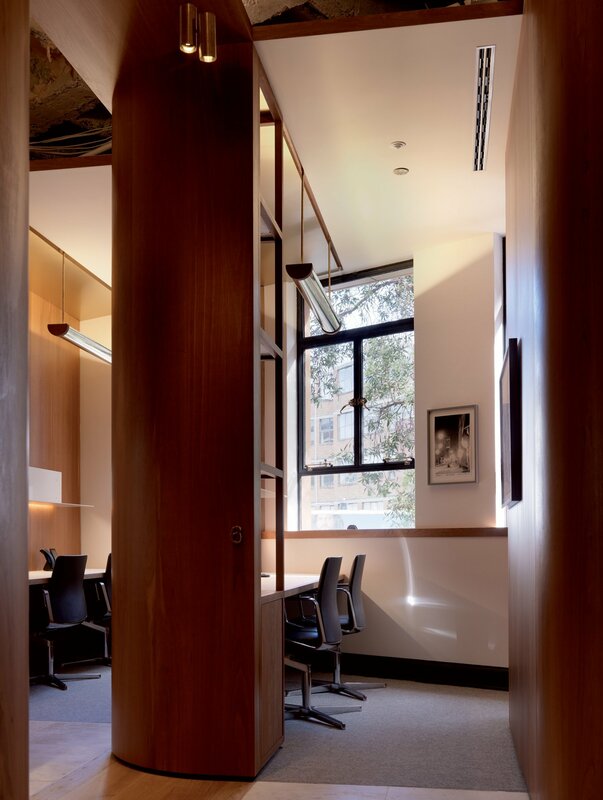 The doors to the office suites were created with a mortise and tenon technique, used for centuries to achieve a strong but seamless finish. The 45mm thick timber has been hand cut, sanded and oiled and glass inlays optimise the flow of natural light into the workspaces. 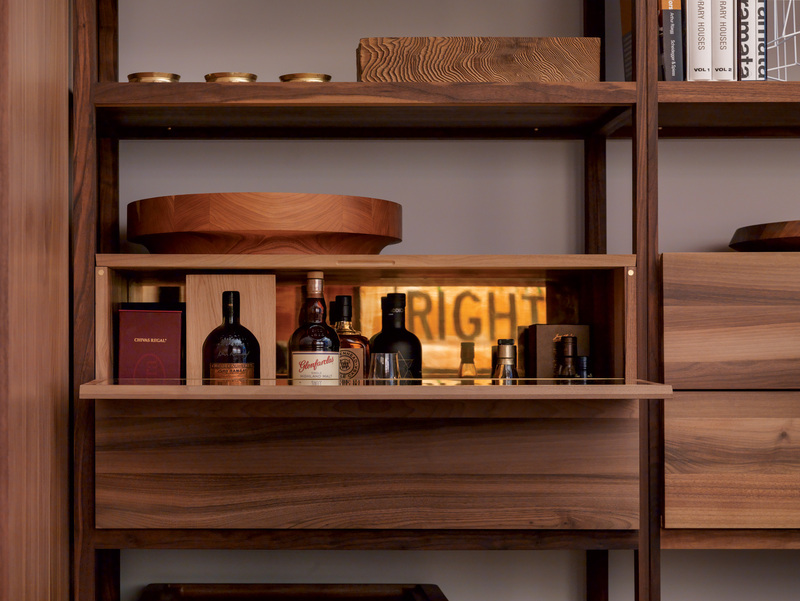 The build included 600 square metres of hand-glued American cherry veneers, mismatched and rotated. The quality of finish and attention to detail is pervasive. Even the interior carcasses of the kitchen cupboards feature cherry and brass detailing. 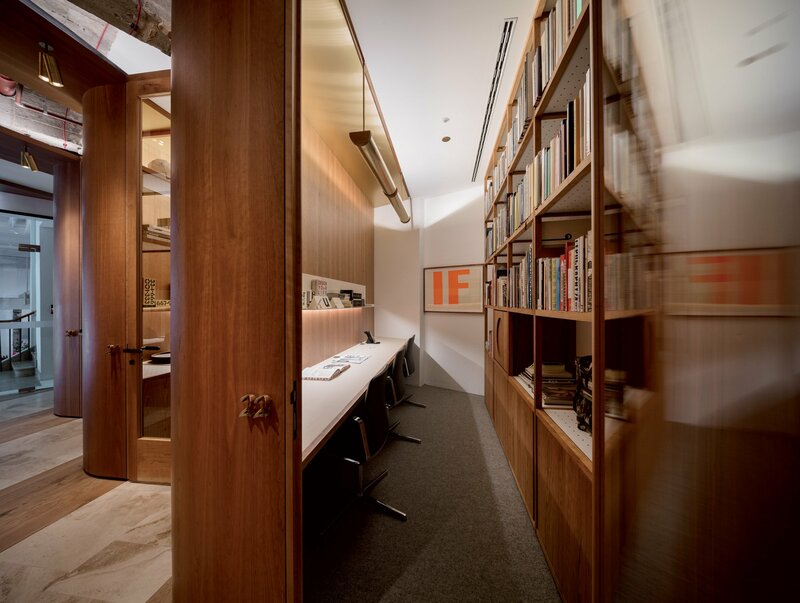 Unlike most projects of this nature which progress from the ceiling down, Tosic decided to approach the build as a joinery exercise, which meant resolving the design and creating most of the structures in the Elan workshop itself. 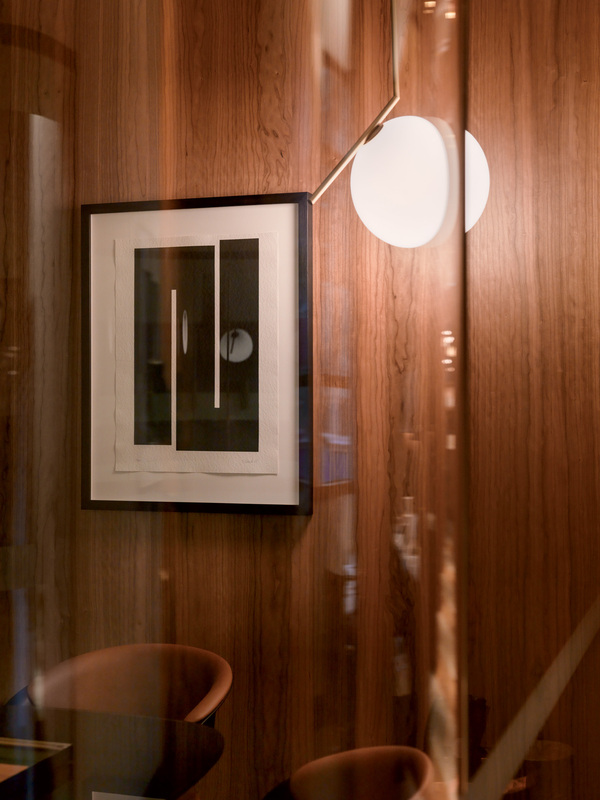 “We levelled the floor and then staged out the site to the millimetre with timber stencils and different elevations to reveal where the suites would sit. 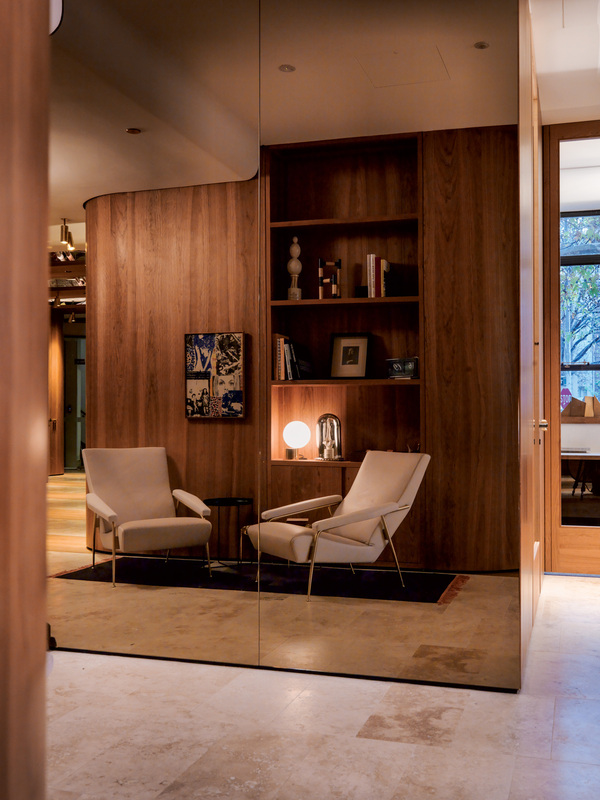 The curved suites were then constructed entirely by hand in our workshop before being transported and set in place. It is essentially a giant 3D puzzle that clips onto itself”.